The Center for Success Network was born out of a desire to make a difference in the next generation. From the onset of this organization we believed that if we make a difference in the life of a child, we will impact generations to come. For years prior to Center for Success becoming a reality, our founders had the dream of creating a safe haven and community center for families, friends and neighbors in under resourced areas. This pushed them to look for physical locations where youth could realize their dreams and to see a collected community supporting each other. In a few short years, what once was a dream has become a reality. In each city where we are located, hundreds of people became involved, gave their time and energy, donated thousands of dollars, cleaned and remodeled buildings, and helped us build the Center for Success Network into an organization committed to empowering students and families to live successful lives. The Center for Success has become a vital part of the cities where we work. In a few short years, what once was a dream has now become a reality. 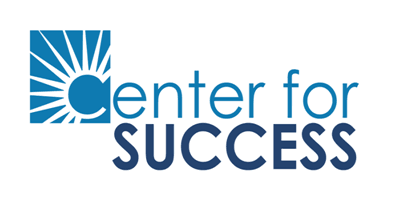 The Center for Success Network provides after school, academic focused, individualized mentoring and tutoring for students at no cost. We also provide parenting classes, computer trainings and other educational based programs for families. Center for Success Network is committed to exposing, educating, engaging and empowering youth in non-traditional formats. We truly believe that once youth are exposed and engaged to diverse outlets, CFS and our community partners can provide the education and empowerment to pursue their dreams and live successfully. We are always looking to add more to our growing slate of programs, innovative ideas that build each other up, and participate in the restoration going on all over the country. If you want more information, please email or call us. Our doors are open to you!